Concluded on 16th January, the 7th China (Sanya) International Orchid Show featured nearly 40,000 blooming orchids’ plants of 96 varieties, making it the largest event ever on record. The event attracted exhibitors from 21 countries and regions, including Thailand, Myanmar, Singapore, Malaysia, Germany, Denmark, etc. 10 sales orders were placed at the fair, contributing to a transaction amount of 88.95 million Yuan. According to the organizer, 22 further deals had been reached, adding up to a total potential transaction amount of 95.60 million Yuan. 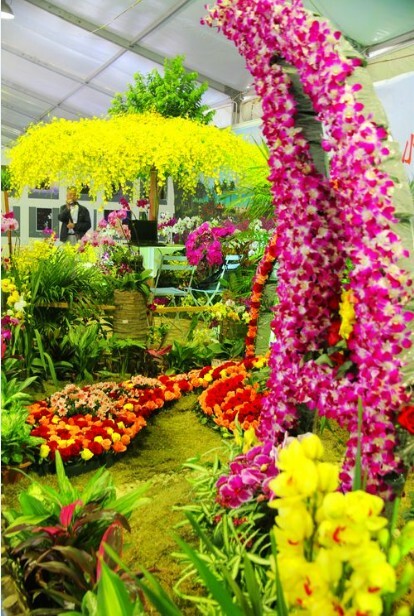 The show consisted of a series of orchid themed activities including an orchid signing ceremony, international orchid forum, lectures on orchid plantation and floral arts, auctions for orchid calligraphy & paintings and an orchid photo exhibition.